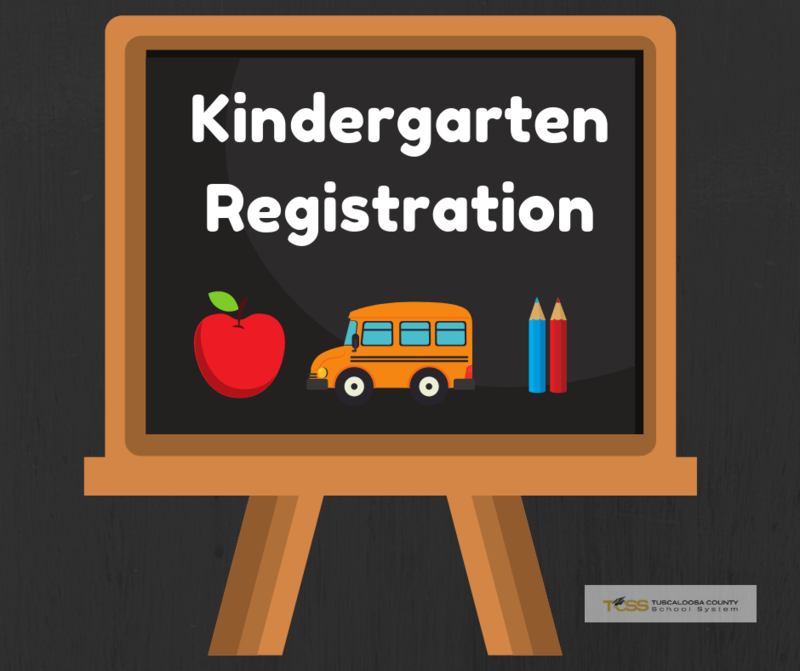 Registration for incoming 2019-2020 kindergarten students is open. 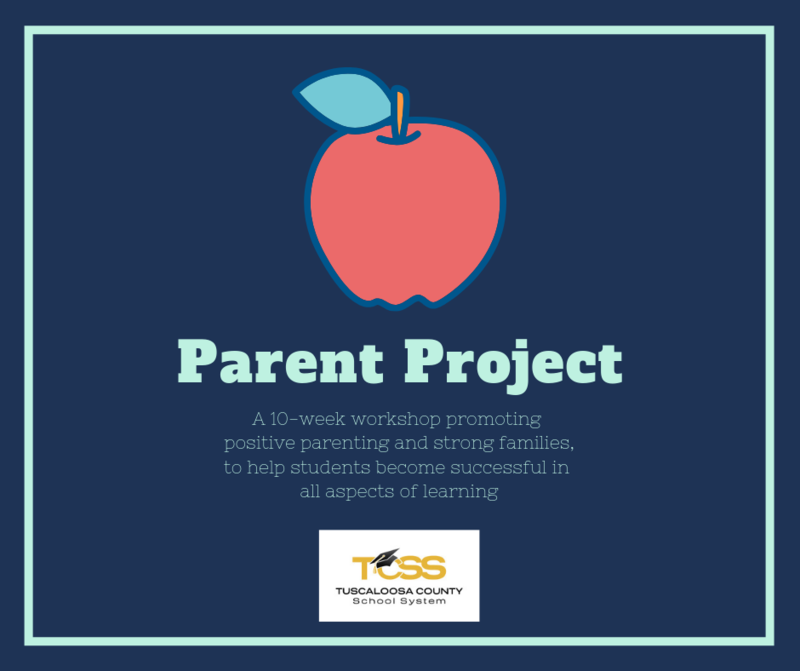 Parent Project is a 10-week workshop promoting strong families, to help students become successful in all aspects of learning. 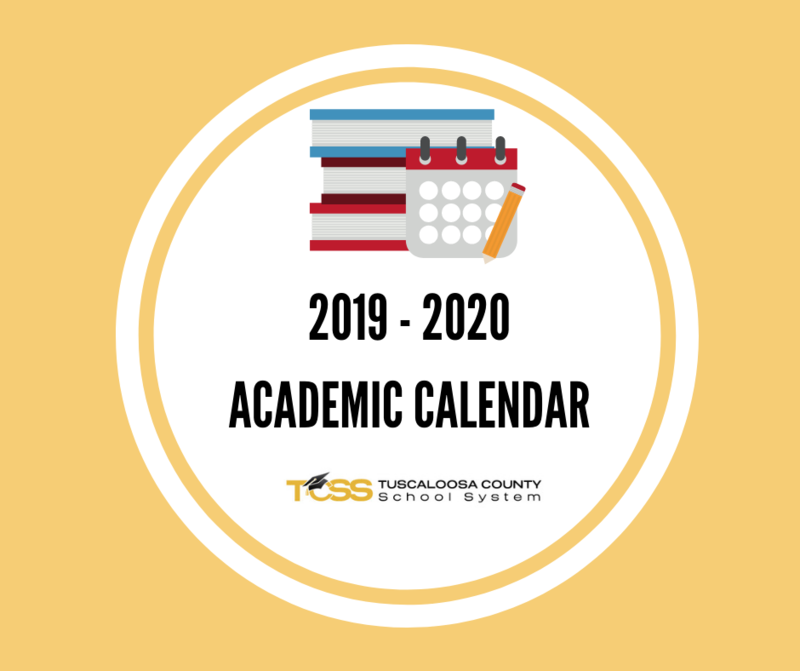 See the TCSS Academic Calendar for the 2019 - 2020 school year. Food Management magazine has chosen TCSS CNP as one of four Innovators of the Year. 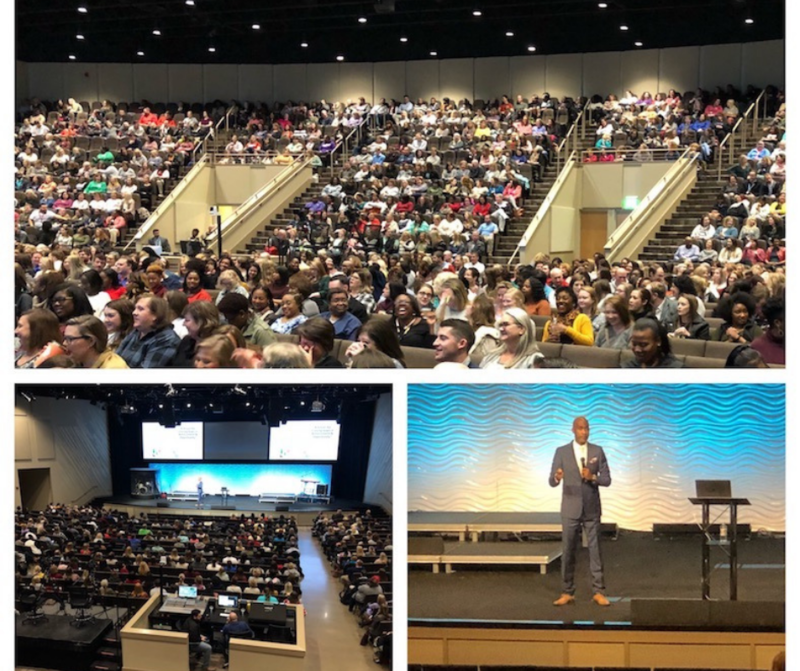 Educators are preparing to begin the new semester with a challenging discussion, led by a nationally-recognized scholar in education equity. 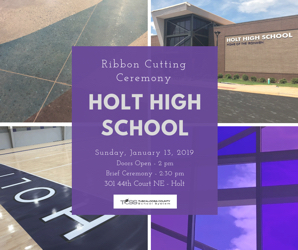 TCSS invites the community to a Ribbon Cutting Ceremony for the new Holt High School. 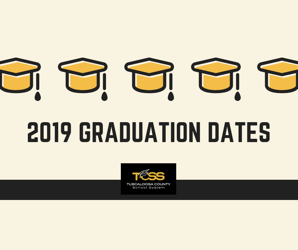 Plans have been announced for 2019 graduation ceremonies for our six high schools. 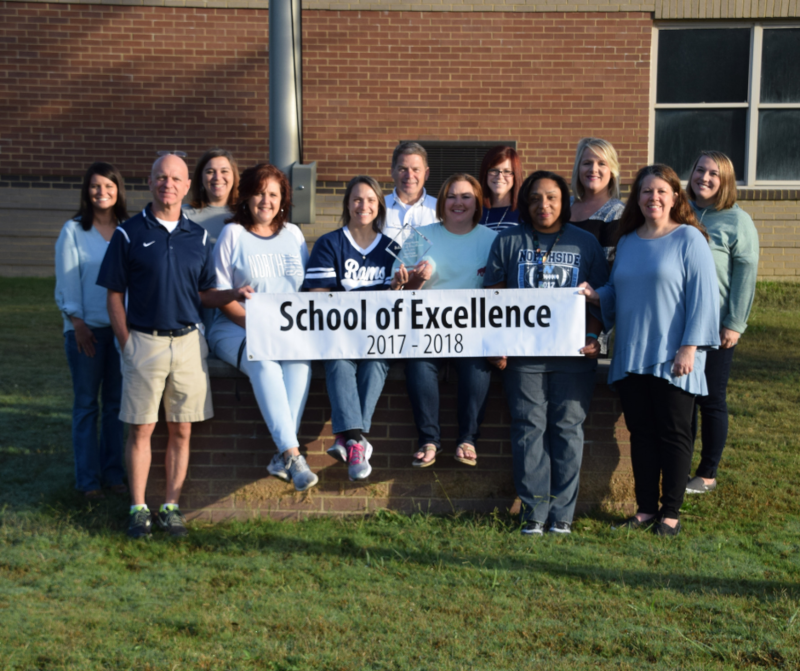 Northside is one of only four schools in Alabama to receive the honor this year. December 28, 2018 – Today, the Alabama State Department of Education released the Alabama State Report Card, which uses a group of indicators to calculate letter grades for schools across the state. This is part of a larger report from the State that contains a wide array of school data. For summarized information on the Tuscaloosa County School System’s Report Card, click here. For additional information from the Office of the Superintendent and scores for individual schools, click here. For Frequently Asked Questions on the Report Card, click here. A variety of complex data goes into formulating the Report Card; therefore, visiting all three links may provide the best understanding of the Report Card. In January, principals at each school will provide more information for parents and families regarding individual school scores. You may also visit the Alabama State Department of Education’s web site, alsde.edu, for additional information and to find Report Cards for the state, each system and each school. 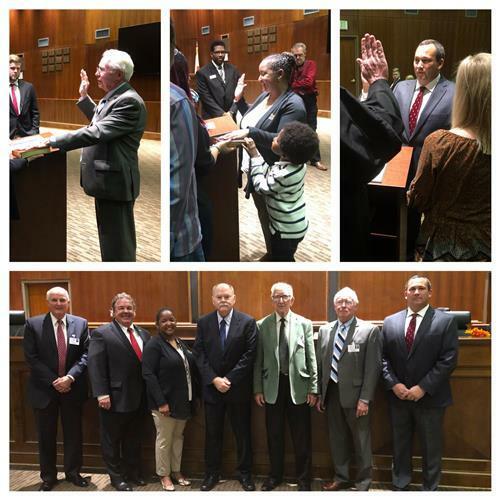 On Monday, November 26, the Tuscaloosa County Board of Education held a swearing-in ceremony for three Board members, beginning new terms in office. Mrs. Portia Jones will continue to represent District 1, Mr. Joe Calvin begins his first term representing District 3, and Mr. Bill Copeland will continue to represent District 7. Board members are elected to a six-year term in office. Mr. Don Presley, District 4 Board Member, will continue to serve in the role of Board President. Mr. Charles Orr, who represents District 5, will continue to serve as Board Vice President. Pictured, left to right, are Mr. Copeland, Mrs. Jones and Mr. Calvin, as they were sworn in to office. Group photo, left to right: Mr. Charles Orr, Mr. Randy Smalley, Mrs. Portia Jones, Mr. Don Presley, Mr. James Barnett, Mr. Bill Copeland, Mr. Joe Calvin. The new Holt High School opened its doors to students for the first time on Tuesday, November 13. The new school, which is located at 301 44th Court NE, is designed for a capacity of approximately 500 students. It includes a career tech center, administrative and counseling suites, band/choral/fine arts rooms, new technology and much more. 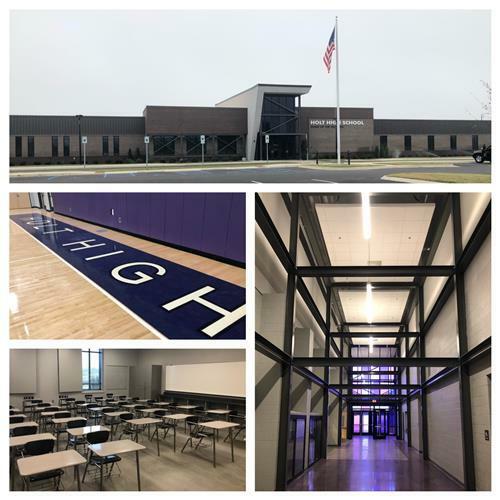 The design of the school features purple glass, as a reference to Holt High's school colors. There are exposed steel beams throughout the school, to represent the Holt community's tie to the steel industry. The flooring of the main hall features a river design, to represent the Black Warrior River. The new school replaces the former Holt High School, which was built in 1944. 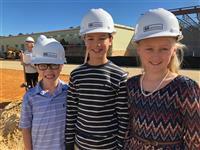 Students, faculty, staff and community members celebrated construction of the new Sipsey Valley Middle School at a Groundbreaking Ceremony Thursday, October 18. The new Sipsey Valley Middle School is set for an August 2019 opening date. The school will serve students in grades 5 – 8. Currently, SVMS shares a building with Sipsey Valley High School. Construction of the new school will create additional space for SVHS to use, and eliminate use of portable classrooms at the school. The new SVMS will also create additional space at three feeder elementary schools, by moving fifth graders to the new school. Follow this link for a schedule of Health Department Wellness Screenings. 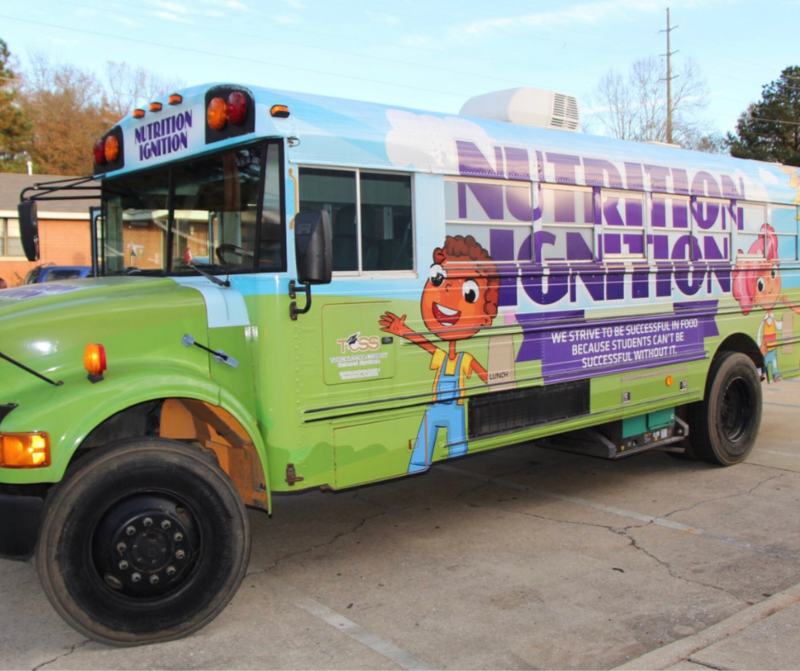 Follow this link for a schedule of Wellness Screenings at Schools. If you do not complete a Wellness Screening at one of our schools, please take this form to your healthcare provider and mail/fax it to the ADPH Wellness Program. The Tuscaloosa County School System is attempting to find and identify individuals from birth to 21 years of age who have disabilities or are suspected to have disabilities and are in need of special education services. Parents of children with disabilities or anyone knowledgeable of a child with a disability or who may need special education services should contact the Child Find Coordinator in the Special Education Department. Call (205) 342-2756 for children ages 3 through 21, or (800) 543-3098 for children at birth through 2 years of age. For more information, you may also contact the Alabama Relay Service at (800) 548-2547.